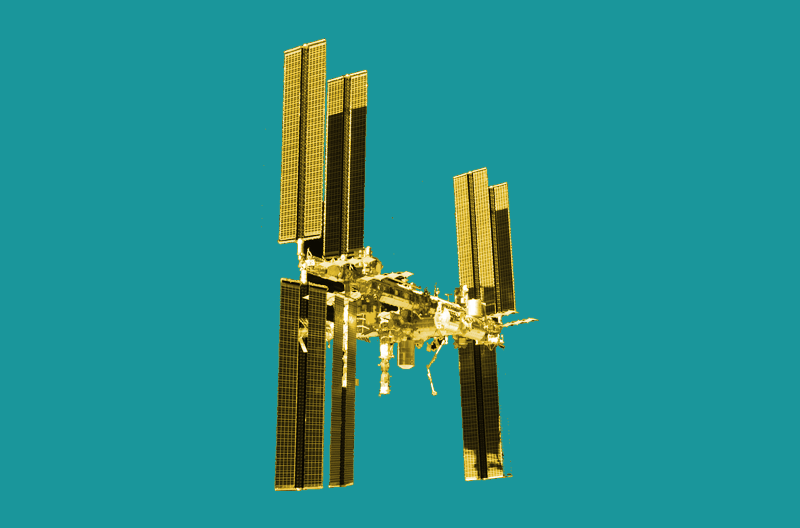 Does The ISS Have A Future Among Private Competition? Does The ISS Have A Future Among Private Space Competition? Currently, the International Space Station is the only destination for astronauts traveling into lower-earth orbit. It’s also the only way for scientists to conduct experiments in microgravity. After two decades, it’s still proving to be incredibly useful to researchers. But time is running out. President Trump has indicated he wants to defund the station as scheduled by 2025. Congress could extend that deadline. On the other hand, the International Space Station has been in operation since the early 2000’s—many of its parts were built in the ’80s and ’90s. So like any spacecraft, it’s nearing the end of its expected lifetime. What does the future hold for science’s single biggest asset in lower earth orbit? And how will stations being built by private enterprises like Bigelow Aerospace—which has announced plans to launch two standalone space stations into low earth orbit by 2021—impact its future? Former NASA astronaut Sandra Magnus joins Ira and Blair Bigelow, Vice President of Corporate Strategy of Bigelow Aerospace, to discuss the future of scientific research and private investment in lower-earth orbit. Blair Bigelow is Vice President of Corporate Strategy for Bigelow Aerospace and Bigelow Space Operations, based in Las Vegas, Nevada. Sandra Magnus is a former astronaut and Executive Director Emeritus of the American Institute of Aeronautics and Astronautics in Reston, Virginia. A bit later we’re going to be talking with former NASA astronaut Sandra Magnus about the future of the International Space Station, and if you have a question about what could happen to the NASA Space Lab as it enters its golden years– don’t forget, the space station is like, what, 20 years old, something like that– give us a call. Our number, 844-724-8255 or you can tweet us @SciFri. But first, imagine you’re an astronaut peeking out a window on the International Space Station, and far from being the only spacecraft in sight, you see several small space stations dotting the landscape– or actually the space-scape, you might put it that way. That could one day be the scene in the low-Earth orbit, as private companies like Bigelow Aerospace decide to try their hand at building space stations. The company announced plans to launch two standalone space stations into low-earth orbit by 2021. But first they’ll have to figure out who their customers are going to be– that is, if they build it, who will come? That’s the question for my next guest, Blair Bigelow, Vice President of Corporate Strategy for Bigelow Aerospace, and now Bigelow Space Operations. Welcome to Science Friday, Ms. Bigelow. BLAIR BIGELOW: Thank you for having me, Ira. IRA FLATOW: Now I understand you already have an inflatable module attached to the space station, now, right? BLAIR BIGELOW: Yes, we absolutely do. We have the BEAM– the Bigelow Expandable Activity Module– that launched to the International Space Station in April of 2016, and was recently granted a mission extension from NASA. And BEAM is the only privately-owned and human-rated expandable habitat in space. IRA FLATOW: So are you actually going to sort of expand on that idea, so to speak? Instead of having an attached one, you’ll have a series of smaller independent ones? BLAIR BIGELOW: Yes, and I wouldn’t quite characterize them as small. What we call this space station is the B330, and you can envision it like a Boeing 747. We will be producing B330s on somewhat of a production line, and these spacecraft will be the platforms for supporting commercialization in low-earth orbit and beyond. IRA FLATOW: So, 330 stands for the space inside, 330 cubic meters? BLAIR BIGELOW: Correct, yes. And this spacecraft represents an entire human space program and an entire space station in a single launch. IRA FLATOW: So are you designing this to sort of coincide with the end life of the International Space Station? BLAIR BIGELOW: You know, we’ve been working on this program for over a decade, so I wouldn’t quite say that. But we feel that the time is now, and the administration has brought urgency to this matter with starting to drive the conversation towards de-funding the ISS at 2025. And we feel very strongly that in order for there to be continuity of human presence in space, and for there to be a seamless transition from government owned and operated platforms to commercial owned and operated platforms, we need to have a commercial space station in parallel with the International Space Station. IRA FLATOW: So does Bigelow look at itself as sort of the SpaceX of satellite companies? BLAIR BIGELOW: Or of habitat companies, yeah, I think that might be an accurate characterization. IRA FLATOW: So who would use your space station, and what would you be using it for? BLAIR BIGELOW: Well, we have the ability to support an array of activities. If you think of a metallic module, all of the systems are on the walls of the spacecraft, and once it’s launched, it really is a final product. If you think about an expandable system, we’re able to expand the spacecraft from the inside out, so the flexibility and the option for accommodating different activities is almost limitless. And we are looking towards other governments, corporations, individuals, universities. We’re looking at price points that are so affordable, and even some cases where, Ira, even you could fly to space for free. IRA FLATOW: Ooh, so give me a price point. If I wanted– because I noticed on your website that you could– these would be called yachts. You can all have your own space yacht. What would it cost me for you to build me a space yacht? BLAIR BIGELOW: So those are just some options to really get your imagination going, but I can’t really talk about pricing today. But I’ll leave you with the confidence that we are going to be opening up access to space for many countries and many corporations at prices that have never been offered before in history. IRA FLATOW: As they used to say here in New York, they’re insane. No, I mean, well, do you remember that Crazy Eddie commercial? So who’s going to launch them? Do you launch– don’t you build your own rockets, too, to launch your space stations, or someone else does that? BLAIR BIGELOW: We don’t. We don’t. We don’t build the rockets, and we actually act as a general contractor and have in-house fabricators, so we build about half of the space station in-house, and we contract out for the rest. And we are exploring the launch industry right now. IRA FLATOW: How do you envision Bigelow possibly working with NASA, moving forward? BLAIR BIGELOW: We would really like NASA to be a customer, and, you know, governments have only ever done this before. So we will rely on them to work hand-in-hand with us for things like operations, safety protocols, and, you know, they’ve been there, done that. So we aren’t trying to reinvent the wheel. We want to do things efficiently and smart, but we also understand the enormous responsibility of keeping humans alive in space. IRA FLATOW: Well, you know, NASA’s not the only player in town or in the world. We have the Japanese, the Chinese, India, Japan, are you ready to work with all of those people? Isn’t there– aren’t the Chinese going to put up their own space station? BLAIR BIGELOW: Yes, they have already begun to and we recognize that we need to establish urgency in our nation’s space ambitions, because we want to ensure that we remain the leader in that area. IRA FLATOW: All right, well, we wish you luck, and we’ll be waiting to see. You’ll come back on when you have your first one up there, won’t you, Blair? IRA FLATOW: All right, Blair Bigelow, Vice President of Corporate Strategy for Bigelow Aerospace, and now, Bigelow Space Operations. Right now, the International Space Station is the only destination for astronauts in orbit, and the only way for scientists to conduct experiments in microgravity. And after two decades, the space lab is still proving to be productive and useful to researchers. Last week, the station logged a record 110– almost 109.3 hours for science. But it’s getting old. Time’s running out. President Trump has indicated he wants to let funding run out for the station as scheduled, by 2025. And of course, Congress could extend that deadline. On the other hand, parts of the International Space Station were built in the 80s and 90s. So like any spacecraft, or like your car, it’s nearing the end of its expected lifetime. So what does the future hold for science’s single biggest orbiting asset, and will stations being built by private enterprise like Bigelow impact the future? Joining me to talk about this is Sandra Magnus, former NASA astronaut who spent four and a half months aboard the space station. She’s also Executive Director Emeritus of the American Institute of Aeronautics and Astronautics. Dr. Magnus, welcome to Science Friday. DR. SANDRA MAGNUS: Thank you, Ira. Thanks for having me. IRA FLATOW: Were you listening to my conversation with Blair Bigelow there? DR. SANDRA MAGNUS: I was, actually. I was enjoying it very much. IRA FLATOW: Is that something that excites you, that idea? DR. SANDRA MAGNUS: Yeah, you know, when I think about what’s going on in the space industry right now, especially in the US, it’s really– We’re at the point where we’re benefiting from 50 years of government investment, because the foundational knowledge of how to operate in space, the technology development that’s occurred, the understanding on the business side, at least, of what the risk-reward might kind of look like, and then the government’s willingness to enable all of those factors to come together, is– we’re at that point. And that really started probably in the late 2010s, like, 2007, 2008, 2009, when NASA decided to go to a commercial cargo model followed by a commercial crew model, which of course we’re still in the process of making a transition to. And now people are starting to look at, what else can we do in low-earth orbit to encourage economic development? IRA FLATOW: So you think, then, that it’s a wise decision by President Trump to let the funding run out in 2025? DR. SANDRA MAGNUS: I think– Yeah, I’m sorry. I think Blair made a really good comment on that. It’s the forcing function to start the conversation about what should a transition look like. I think what will actually happen has a lot to do with what the plans that are evolved look like. I think a couple of baseline imperatives are that, as we do a transition from government owning the building to government renting the building along with other renters, that we make sure– it’s really critical– that we don’t have the loss of capability to do research in low-earth orbit. It’s sort of like we had a good plan on how to transition the shuttle, but we executed it really, really poorly because we have a gap in our operational capability. So we don’t want to have a similar gap in the capability in low-earth orbit. So I think that’s going to be a real key, and whether 2025 is the magic date and whether it’s zero, or whether, you know, that’s a square function or a ramp function, it remains to be seen with how these plans evolve. But the stake is in the sand to start the conversations, which I think it’s good. IRA FLATOW: Let me start our conversations here with our listeners. 844-724-8255 is our number. You can also tweet us @SciFri. You spent so many months up in the space station. Tell us what life is like there, and what makes it a valuable place to be in? DR. SANDRA MAGNUS: You know, I think– well, first of all, life up there is really magical. We’re very busy, but just living in the microgravity environment the way we do gives you a whole different appreciation for it. And I think that’s really the key– having a platform that’s constantly in that environment allows us to test and develop technology and explore the boundaries of science that we can’t do on Earth, because gravity is so– quite frankly, gravity is horrible. And what’s really interesting about being up there, and what I’m really excited about where we’re going in general with what’s happening in the space industry– that more and more people are going to get access. You know, Ira, there’s a difference between intellectual knowledge and experiential knowledge. And so we can sit here, and we can have a conversation about what microgravity means and what you might be able to do in microgravity, and you’re approaching it from your intellectual knowledge about how the equations work and the effect of the force of gravity in those equations and in those phenomenon. When you live in microgravity, you understand it in a different way. So I think getting people up there who have technical training and creative sparks to actually internalize what that microgravity environment is all about will really expand the possibilities of what we may be doing in space from a not government based, but more of an economic development side, and I’m actually excited about those possibilities. IRA FLATOW: Do you think there’s public interest in visiting low-earth orbit? It’s sort of like the tourist industry. DR. SANDRA MAGNUS: Oh my, oh my goodness, yes. You know, any time I give a public talk, and I ask the group in the room, who wants to go to space? It’s usually 95% of the people raise their hands. I think the more people we get up there, the better off we all are, frankly. IRA FLATOW: Yeah, let’s go open the phones. Ken in San Francisco, first up today. Welcome to Science Friday. KEN: Hi. This is a little bit off topic, but it seems to me in the interest of your tourist comments just now, it ought to be possible to find and fund a way to mothball the station when it’s de-activated and park it in a stable orbit someplace to wait to turn it into a museum. DR. SANDRA MAGNUS: You know, it’s interesting Ken. I’ve heard that concept before about, could we pull it up to a higher orbit and let it hang out up there and then eventually not even– maybe use it as a museum, or maybe just mothball the hardware. And I think people have looked at that, and I’m not entirely sure the energy balance of that, and that the capabilities of the systems allow that. But that idea has been floated before. So people have taken a look at it. It’s an intriguing idea. DR. SANDRA MAGNUS: Yeah, I think if there was some decisions to do that, I think what you would end up seeing would be piece parts of the station being deconstructed and used and repurposed, as opposed to the whole station. You know, one thing you have to keep in mind with the space station, it was designed to be serviced regularly, and it was designed to be controlled from the ground. So any exploration architecture that we come up with has to be from fundamentally a different design paradigm. And so the station wasn’t really designed to, you know, wander off too far out of low-earth orbit, just in how the engineering and operations were built from the beginning. IRA FLATOW: This is Science Friday from PRI, Public Radio International. I’m Ira Flatow, talking with a former astronaut who has been in space in a station a few months, Sandra Magnus. You know, you bring an interesting point up, because I know as someone who used to work on cars, that really good cars are made– they know the parts wear out, and they’re made to be replaced if you want to keep it around a while. Is the space station built like that? Could we just keep bringing up spare parts that wear out and keep it going for much longer? DR. SANDRA MAGNUS: Yeah, we could actually. When you talk about the certification of the space station and how long it can remain on orbit, the real limiting factor is the structure, and the structural integrity, because there’s a lot of piece parts that were designed to be replaced. And NASA has indeed done that over the years. When, you know, boxes break, or wear out, there’s a lot of repair and replacement that goes on that was designed in. You know, it was one of the issues when the shuttle program ended before we had another vehicle to start operations with– was basically, we had to sort of rethink how we were going to do that regular replacement, and how many boxes, and it was sort of a logistics stream you needed to build in before the shuttle replaced. So, for example, I was on the last shuttle crew, and we took up 10,000 pounds of stuff, a lot of which were replacement boxes, and spares, and things like that, because we were going to lose that capability to take so much up and down and back and forth. But it was definitely designed with that in mind. And when you talk about people certifying the station to 2024 or 2028, it’s really all about the structure, and is the structural integrity going to be maintained. IRA FLATOW: Yeah, you mean from the steel being embrittled, or things like that? DR. SANDRA MAGNUS: Yeah, and you think about the number of dockings that happens, you have low cycle and high cycle fatigue problems, and micro-meteoroids, and all these kinds of types of environmental issues. IRA FLATOW: I get it. Let’s see if I can get a call in before the break, so Christopher in Durango, Colorado. Hi, Christopher. CHRISTOPHER: Hi, how’s it going? CHRISTOPHER: Yeah, my question is, I wonder if the guest sees any specific areas that private industry will not be able to cover in the next 20 years, and that governments will have to cover? IRA FLATOW: Hmm, good question. DR. SANDRA MAGNUS: Yeah, I think we will never have a time when there’s not a need for government to do research and development in low-earth orbit and beyond, because companies, of course, are interested in developing products and systems and capabilities that earn them a profit, and so it’s hard for them to invest in cutting-edge technologies, or do fundamental science. That’s just not what they do anymore, because there’s no profit margin there. I mean, even look at– you know, we just heard from Blair Bigelow, and the technology they’re using for their BEAM module. That was NASA-developed technology that Bigelow came along and licensed to then turn into a commercial enterprise. And so NASA– the government across the board, not just NASA– will continue to need the ability to do research in space, both in low-earth orbit and beyond. And that’s never going to go away. It’s just a matter of what type and intelligently designing our research program that benefits everybody. You think about what’s going on in space, it’s 50 years of government investment and research and development that got us where we are today. And so we have to continue to push that envelope so 50 years from now the next wave continues to have access to that expanding knowledge base that research and development provides. IRA FLATOW: We’re going to take a break and come back and talk lots more about this. Our number, 844-724-8255. Lots of tweets are coming in @SciFri, talking with Sandra Magnus former NASA astronaut who spent four and a half months aboard the International Space Station, and then she’s also Executive Director Emeritus of the American Institute of Aeronautics and Astronautics. And I understand it’s your last day today? Is that right? DR. SANDRA MAGNUS: Yeah. Yeah, my replacement Dan Dumbacher started in January. We have had a lengthy handover to make sure everything went well, and I’m getting ready to walk out the door. IRA FLATOW: Not quite yet. Stay with us for another segment, OK? And we’ll be right back after the break. Don’t go away– you too, Sandra. Stay with us. This is Science Friday. I’m Ira Flatow. We’re talking with Sandra Magnus, former NASA astronaut and resident on the International Space Station about the future of that station and possible others. Dr. Magnus, you mentioned before, and we were talking a bit about China putting up their own space station. Is there any real need, then, for the US to have a major role? I mean, the US is losing a lot of its leadership positions in a lot of technology areas, in education, and we go through a lot of these things– I’m not going to go through them now– to other international countries. I mean, would it just seem logical? We could lose our lead to China, or whomever wants to take that lead and take the chances in space. DR. SANDRA MAGNUS: Well, of course we could. I mean we need to make sure that we maintain a very integrated, strong, enduring, long-term commitment to what we’re trying to accomplish as a nation in space– and I would argue, in any other area as well, but we’re talking about space today. And I think it’s really important that we do that. Though, you know, China notwithstanding, the world does look to us to establish, sort of, the vision in that sense. And we bring a lot of energy, and a lot of passion, and a lot of technology and know-how to it. And people do look to us to say, hey, you know, we think it’s important that we’re going to go to the moon. We think it’s important that Mars is a rising goal, and how can we all go do this together? And that is something that our international partners look to us for, and if we ceased to fill that role, they will look elsewhere. IRA FLATOW: And what does it cost to maintain the space station, about, what, $3, $4 billion a year? DR. SANDRA MAGNUS: Oh gosh, I don’t have that number off the top of my head. IRA FLATOW: Something like that? DR. SANDRA MAGNUS: I think it might be a little bit less than that, but yeah, in the couple of billion dollar ballpark. IRA FLATOW: Yeah, but if it’s an international venture, you would think we could all, you know, scrape together a few– that’s a few bucks in a larger budget to keep it going. DR. SANDRA MAGNUS: Yeah, so the way the space– first of all, the big portion of the budget, by the way, is just transportation. It’s not just the operations of the station, but it’s getting stuff up and down, and getting the people up and down. So that’s part of the station operational budget, if you look at NASA’s line item. But the way the international program works is each– it’s an in-kind, a sort of a big barter system, if you will. And so when the Memorandums of Understanding created the space station project so many years ago, it was basically, you know, each country came to the table and said, we’re going to put in this, and we’re going to put in this, and out of that, we’ll each get a certain percent of crew time, a certain percent of power, a certain percent of the resources. And so it really was an international barter treaty. And so each country puts resources in, and gets resources out. And every year, the partners sit down at a table and they examine how the allocation of all of those resources went in the previous year, and continue to barter back and forth based on the baseline Memorandums of Understanding that were agreed to decades ago. IRA FLATOW: Let’s go to the phones, to James in Connecticut. Hi, welcome to Science Friday. JAMES: Hey, how are you? JAMES: So I just want to say, you know, it’s kind of nice seeing that we’re shifting from government-owned, government-operated stuff, and we’re slowly moving towards the private sector, especially with Elon Musk and SpaceX. You know, Elon Musk is actually coming up with less expensive ways to get stuff into space, and honestly, in the long run, it’s reducing the government’s risk-reward, especially with the launch costs from NASA. And on top of that, the government’s, you know– SpaceX and such are able to take more risks and put a little bit more ingenuity out there than the government funding a space station or rocket launch that may or may not yield results they’re looking for. DR. SANDRA MAGNUS: Yeah, and you know, what I like to think about here is, think about– and I have an expanding bubble I use when I talk to the public. You think about human beings being on Earth, and then our expansion of experience as a bubble. It goes off of the Earth, and now it’s expanding to the Moon and Mars, and as that bubble expands, you know, the leading edge of that bubble is the government investment. Because again you look at things, what SpaceX is doing, what Blue Origin is doing, what Virgin Galactic is doing, what college students are doing, what the CubeSat community is doing. All of that knowledge that they’re using to create these capabilities at these different price points, and all of it has been leveraged off of government investment. And so that’s the leading edge of the bubble, and now after all those years, again, these companies are coming in and they’re looking at innovative ways of using that technology and that know-how to create these other products and services. But there will always be a need for the government investment at the leading edge of that bubble, right? And so what you’re seeing now is that, OK, hey, private industry is thinking, hey, we kind of got low-earth orbit, we kind of got some of these capabilities and services. But there’s other technologies that government will continue to investigate and invest in. You know, solar electric power is one of them, right now. NASA has a very vigorous solar electric power research and development program, and once that’s developed, that will be a capability that everybody else will benefit from too. So there’s– it’s not an or, it’s an and, and if each part of the ecosystem is investing in the things that make sense for what their strengths are, then the overall ecosystem is healthy. IRA FLATOW: Speaking of ecosystem, where do you see yourself? Are you going to be still in the space industry, do you think? DR. SANDRA MAGNUS: Yeah. Yeah, I don’t know what I’m going to do. I promised myself a little bit of a break after I was finished with AIAA, so I’m going to take some me-time, but I’m, you know, really passionate about the space program, so I imagine I’ll get engaged in a few months. But in the meantime, I’m just going to kind of hide for a little while. IRA FLATOW: I get it, I get it. Because you’re certainly a very good spokesperson and speak very well, and know how to get the point across. That would be a shame if you still were not involved in space, somehow. DR. SANDRA MAGNUS: Oh, well thank you, Ira. That’s very nice of you to say. IRA FLATOW: Yeah. Hope to see you again. Thank you for taking time to be with us today, and good luck and congratulations, I guess, on your retirement. DR. SANDRA MAGNUS: Oh, thank you. It’s been a lot of fun, and I would encourage people to pay attention to what’s going on in the space program. There’s a lot of great things happening these days. IRA FLATOW: Sandra Magnus, former NASA astronaut, Executive Director Emeritus at the American Institute of Aeronautics and Astronautics. Will NASA finish the next batch in time for future deep-space missions?